Occasionally, pain can be found in the sacroiliac joint. This is the joint that connects the sacrum to the hips. 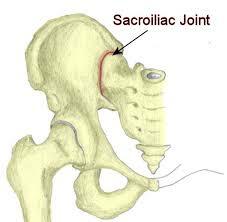 The sacroiliac joint to may experience pain for any number of reasons. In addition, sacroiliac joint injections can be used to assist in diagnosing pain, finding the true source. When I sacroiliac joint injection is recommended, there is a specific procedure that must be followed. If this procedure is followed correctly, excellent results can be found. Sacroiliac joint pain can be caused by any number of things. One common cause of sacroiliac joint pain is poor ergonomic and body mechanics. Repetitive motions, especially those that are performed under strain, can put much pressure on the sacroiliac joint. In addition, poor posture when sitting can cause pain in the sacroiliac joint. injury can also cause damage to the sacroiliac joint. 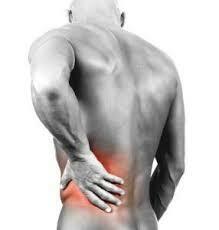 However, the true underlying cause of any sacroiliac pain is traditionally compression or pinching of the nerves. This compression cuts the signal that is directed from the brain towards the muscle. When this signal is not properly received, it instead returns a signal in the brain that the brain interprets as pain, tingling, or numbness. This is the most common cause of discomfort associated with iliosacral joints. How do Sacroiliac Joint Injections Work? Iliosacral joint injections work in two different ways. One role of these injections is to provide blockage of these nerve signals for a diagnostic purpose. When eye doctor is attempting to make a diagnosis of a certain problem, they can use sacroiliac joint injections to temporarily relieve pain. If a sacroiliac joint injection relieves all pain that one is complaining of, then they can be sure that a sake the sacroiliac joint is indeed the source of the problem. If the sacroiliac joint injection does not relieve pain. Then it can be assumed that there is another problem associated. Sacroiliac joint injections can also be used in an attempt to relieve pain on a longer-term scale. this can be done by relieving the pain that is associated with the sacroiliac joint itself. When sacroiliac joint pain is relieved through the use of a sacroiliac joint injection, a localized anesthetic is provided to the Joint to relieve the signal mentioned above. This can either work immediately after one treatment or May require multiple treatments to obtain the full effect. Either way, sacroiliac joint injections can be an effective and minimally invasive procedure to relieve pain. Once pain has been relieved through the use of sacroiliac injections, a patient’s top priority should be to maintain that pain relief. The most important thing to remember trying to maintain pain relief is to identify the cause of the original pain. If the original pain was brought on by poor posture or repetitive motion, these activities then brought pain should be modified or eliminated. For example, sacroiliac pain can commonly be traced back to sitting on one’s wallet in their back pocket. Maintaining pain relief could be as simple as moving your wallet or making use of a billfold! Are you ready to try sacroiliac joint injections to relieve your pain? Call 646-862-5555 to schedule an appointment with Dr. Grimm to discuss sacroiliac joint injections in your case.